Twenty-six teams from four continents are descending on the Hyperloop test track in California this weekend to test the viability of their human-scale pods ahead of a speed test scheduled for this summer. 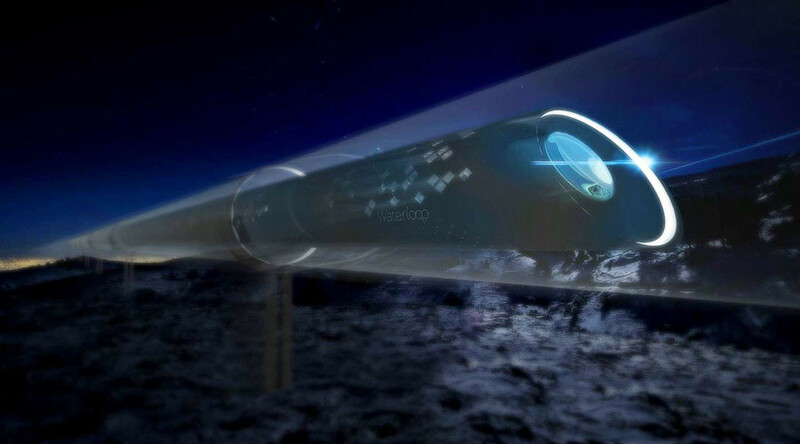 The Hyperloop concept, proposed back in 2013, aims to create a high-speed vacuum-sealed rail system capable of transporting passengers between San Francisco and Los Angeles in 30 minutes. The proposal is ambitious to say the least, given that the journey currently takes approximately 8 hours by train or 1 hour and 15 minutes by plane. Hyperloop pod race happening this weekend at SpaceX HQ (near LAX). We built a ~mile long vacuum tube on our campus big enough to fit people. “SpaceX is running an open competition, geared towards university students and independent engineering teams, to design and build the best Hyperloop pod,” SpaceX said on their official competition page. While the roughly 1-mile-long test track was constructed by SpaceX beside their Hawthorne headquarters, the company itself has no direct involvement in the development of the Hyperloop, other than encouraging and supporting the development of a viable prototype. When the competition was initially announced, Space X received 125 entries, but their engineers whittled it down to just 30 after extensive testing. Only 26 teams will actually compete this weekend, as several have been forced to drop out or will be attending the event but not competing. This weekend’s test is being seen as the precursor to the main speed test event scheduled for this summer. This second competition will also be open to students and independent firms, given that the data collected from this weekend’s competition “will continue to be open-sourced,” according to SpaceX. The competition’s front runners include teams traveling to California from Massachusetts and Munich, Germany. The team from MIT have already drawn a lot of attention, winning the best overall design award in the previous Hyperloop competition held in 2016. They claim their pod can reach a top speed of roughly 224 mph (360 kph). The Badgerloop team from the University of Wisconsin-Madison won a Pod Technical Excellence Award previously, with their 15-foot (4.5m) design. “Our pod will be fully levitating and won’t be touching any part of the tube,” BadgerLoop co-president Brett Sjostrom told the University. The team estimates a top speed of roughly 200mph. The WARR Hyperloop team from The Technical University of Munich, Germany is one of two European teams competing this weekend and boasts a theoretical top speed of 217mph (350kph).